Do you feel it? It sure is getting colder now. And you all know what that means, right? 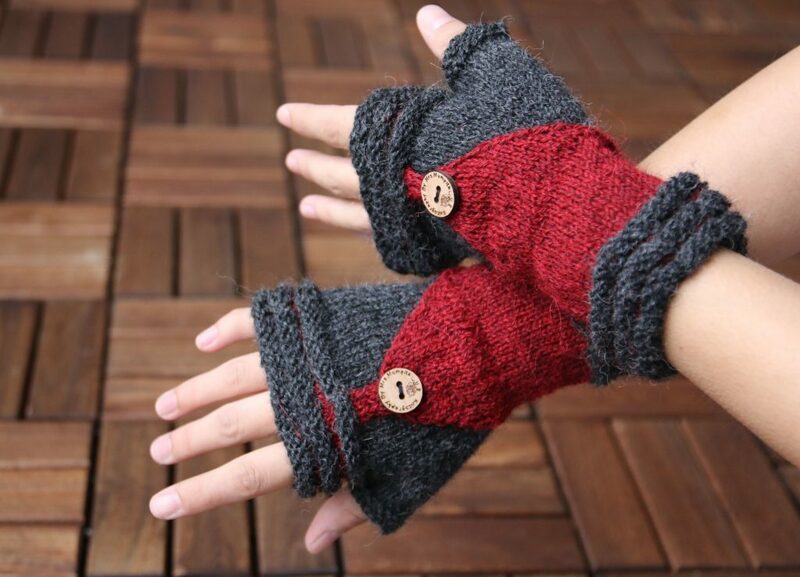 It’s time to knit fingerless mittens!! That’s what I’ve been doing lately, anyway. 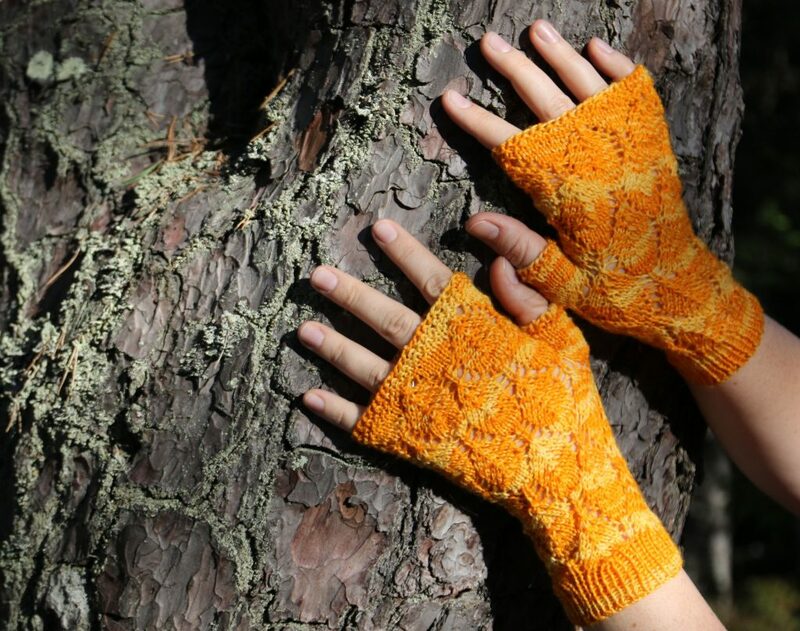 And I thought, if you don’t believe summer is gone in a moment and you still need a little convincing to start knitting something autumn-y, here is some motivation for you. 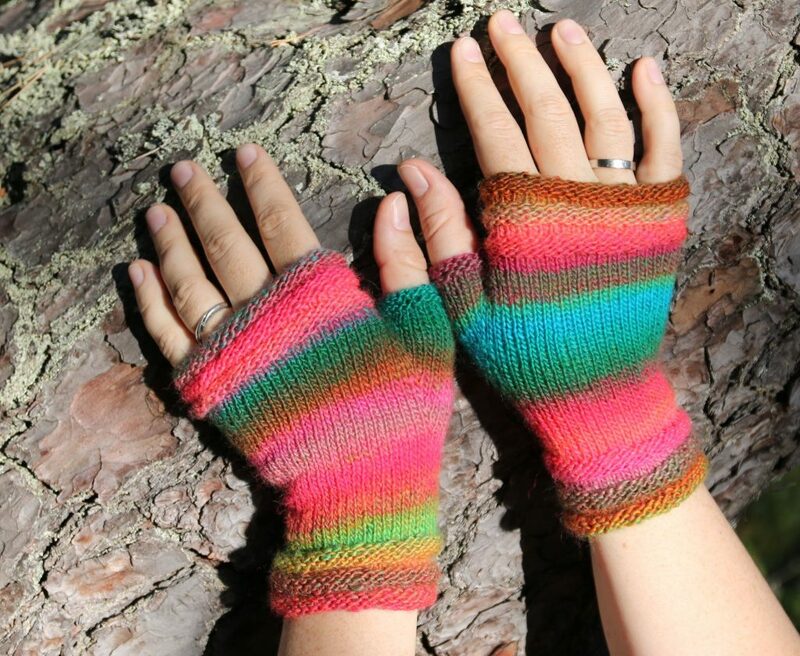 Share you latest finished fingerless mittens with me and win one of my mittens knitting patterns – you choose! 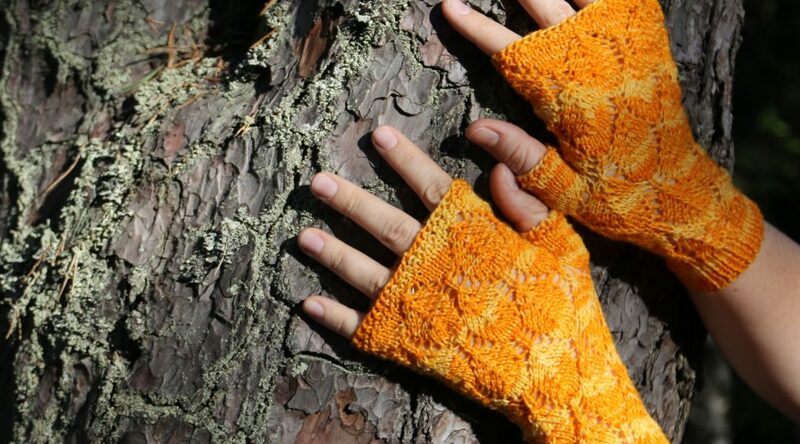 1: Post a link to your latest fingerless mittens project on Ravelry into the comments section and tell me which of my mittens patterns you like best. 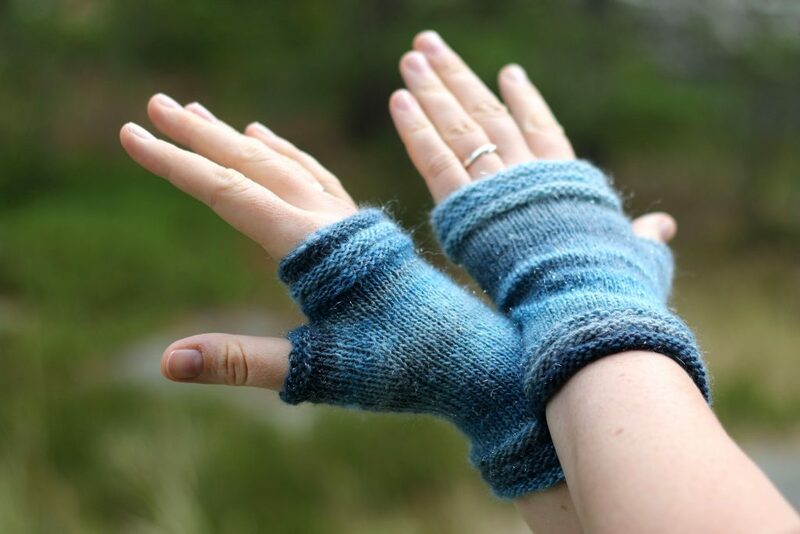 I can’t wait to see your lovely mitts! And the winner is ETHA! I sent you a free copy of the black and white mittens on Ravelry. 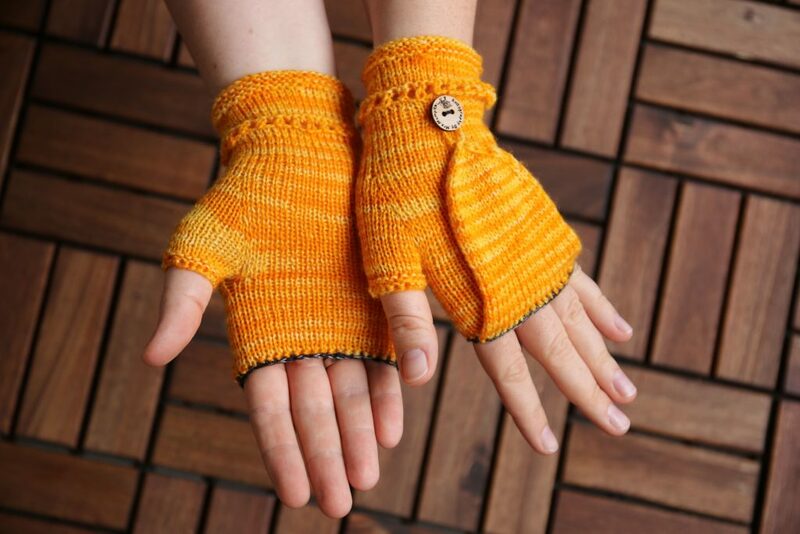 Thank you all for participating and I loved to see your mitts! Here’s some inspiration for you. All of these can be found in my Etsy store, too. From yours I would be delighted to try Mrs. Mumpitz, they look like fun and I have seen many samples of them on ravelry. They look gorgeous! Do you mean the convertible mittens? Your yinyang mitts are so fun, Etha. Can’t wait to get started on a pair! 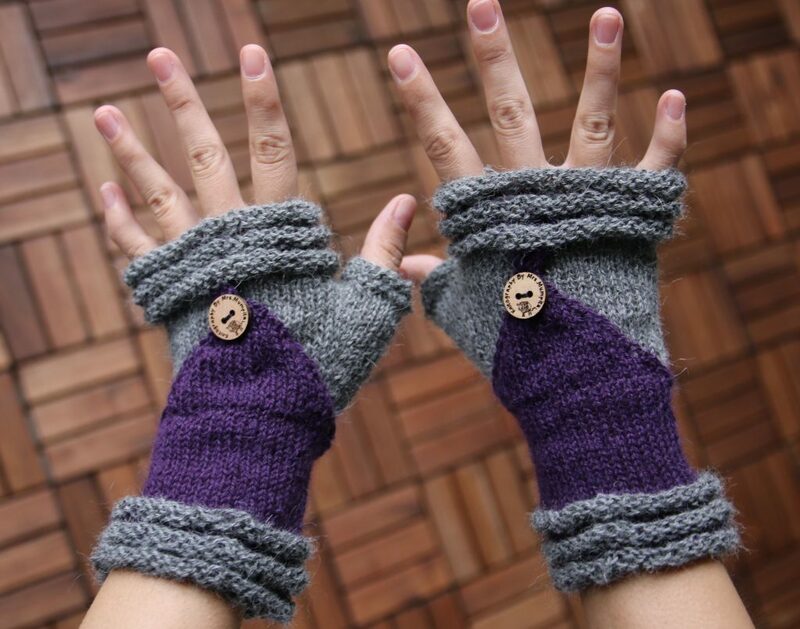 Congrats, Etha, I will gift you your copy of the black and white mitts on Ravelry. 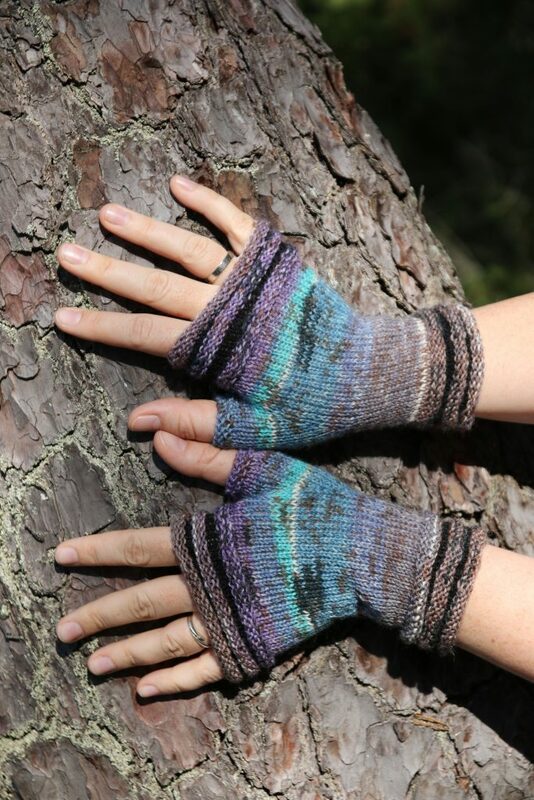 Love your mitts and thanks for sharing the free design! Love the variety of designs and colors! Beautiful!! I love the pattern! 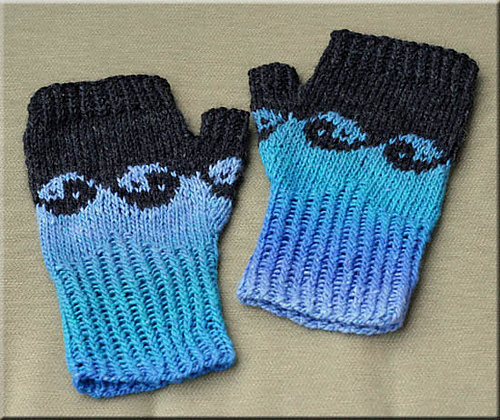 The last pair I made for myself are my Llama Mitts. They are form fitting, which is the fit I prefer. That is why I like your Coziness and its cousin, Follow me. They look super warm! I love them! I love these! A very cozy choice! I can’t wait to try yours out, it is a super pattern.